My mother used to always say to me “don’t ask, don’t get.” She taught me the valuable lesson of learning to ask for things. They say the number one mistake sales people make is not asking for the sale and the same rings true for restaurant and bar operators. If you don’t ask your customers for feedback, positive ratings on review sites like Yelp & TripAdvisor or to sign up for your newsletter, you shouldn’t expect them to do it. 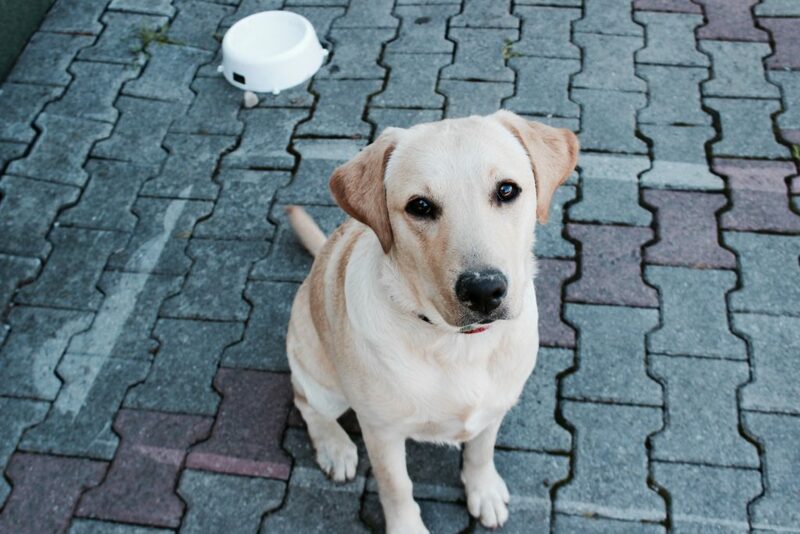 Even a dog knows when it’s time to ask for dinner! Chances are that dog gets fed every day around the same time but he doesn’t want to take the chance you might forget. Be like your dog, ask for the dinner. “If you have a 5-star kind of experience tonight, would you mind giving us that rating on Yelp?” People did. I followed that with “And if you don’t feel that we have you a 5-star experience tonight, stop me while you are here in the bar tonight and tell me how we could’ve improved.” They did. For those things that we got wrong, we learned to correct them. For those things that we did right, people rewarded us by giving us a positive review on Yelp. This rule doesn’t just apply to ratings & review or in store communications. You need to be asking all the time. In the business world this is a call to action (CTA); a request for immediate action from an audience. If you want people to sign up for your email subscriber list, you need to ask them to do it. But you should also make it easy to do and offer them a reason to do it. 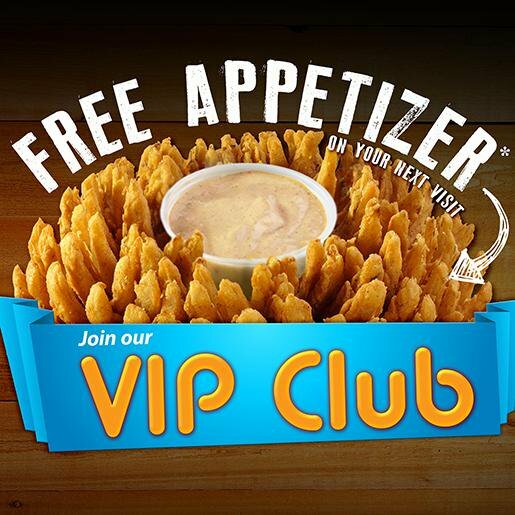 Texas Roadhouse knows that when you see those onion petals and the word “FREE” you’ll gladly send over those personal details. Want to meet me at the Teterboro, NJ location once it opens and split my order? Check out this Ben & Jerry’s call to action. As part of their social conscience program, they planned to delete some flavors that used ingredients that could be effected by climate change. They called them “Endangered Pints” and put all the ingredients & flavors on their website. They took a photos of those pints and shared it on Instagram. Climate change is coming in hot and your favorite flavors could be at risk. Check out our Endangered Flavors List — link in profile. In their call to action they asked followers to click the link in their bio. For the passionate Ben & Jerry’s fanatic, they clicked and participated in the conversation. When coming up with your CTA, think of it in terms of an exchange. You would like the customer to do something but what can you do for them if they take the requested action? It doesn’t always have to be a free drink or appetizer. Sometimes helping the customer on their journey is enough. 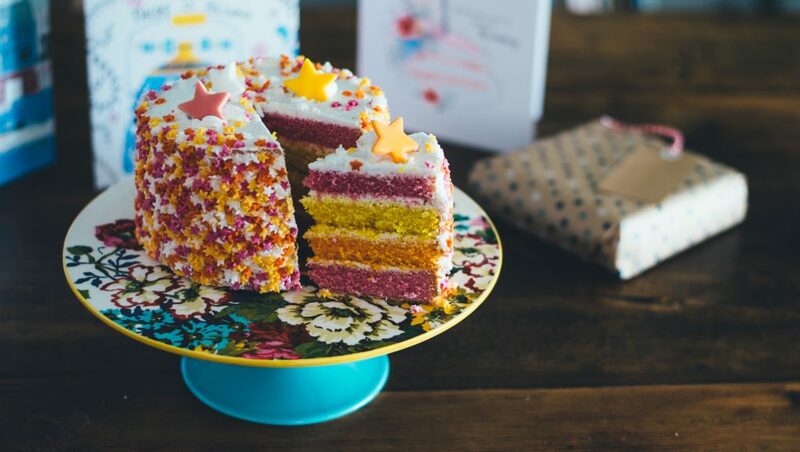 If you’re marketing message is about birthday parties, don’t just tell me you offer them, tell me how I can book one and make sure it’s easy! To help you along your way, here is a list of great initiatives that a restaurant can use to create calls to action that market and bring in new customers. Want to know what not to do when it comes to calls to action? Never, ever, ever, ever, never buy or place advertising without a call to action. That’s a HUGE waste of your money. 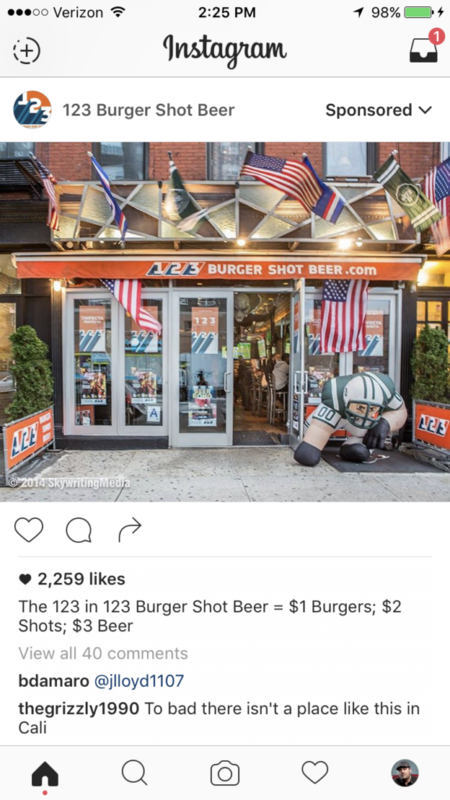 Check out this sponsored post on Instagram from 123 Burger Shot Beer, a bar in NYC. I’ve been there. It’s a good concept and they run a nice business. In this advertisement they spent money just to tell you what the “123” in their name stands for. Cool. But now what? You don’t know where this is, you don’t know if they show sports on their TVs, they didn’t ask you to follow them, click to their page or site or do anything else at all that would move you along the sales journey. How does $1 Burgers, $2 shots and $3 beers sound to you? Check out 123 Burger Shot Beer in Hell’s Kitchen NYC! Follow @123bsb on Instagram for event information, party photos and killer food shots like this! The best way to get your customers to take an action is to use a call to action that gives them something valuable in return. This entry was posted in Burgers, Marketing, Strategy and tagged call to action, cta, hospitality, marketing, rev ciancio. Bookmark the permalink.